When I first wrote “Choose Yourself” I didn’t want to write another BS self-help book that nobody would read. I was telling a story about something bad that happened to me, about a time I wanted to kill myself because I thought my daughters would benefit more from my life insurance policy than from having a dad. And then how I came back from that moment. How I decided to focus on my well-being instead of just trying to please everyone else, which never worked out for me. How focusing on my own well-being made me realize the importance of improving myself so I can help others. How the concept of “Choose Yourself” is not about entrepreneurship but discovering deep inside what makes you happy physically, emotionally, mentally, and spiritually. 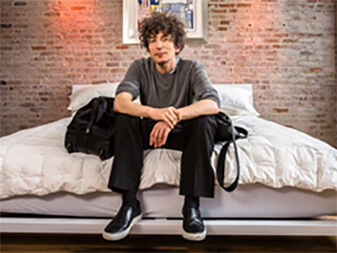 That these things allowed me to become the sort of person I always wanted to be and that, in turn allowed me to help others in such a way that it was also more aligned with my own success. Along the way I became an entrepreneur many times. I wrote books. I gave talks. It was fun for me and it was growth for me instead of just being something I did for a paycheck or so I can get the applause of others. When I Choose Myself in the way I described in my books, it wasn’t like I was listening to a list of “how to be a better person” written by someone who had been through nothing. I was doing the things that made me happy. The things I was passionate about. And discovering through trial and error what those things are. I discovered that the best way for me to help ships on a foggy night is not to swim out and find each ship and drag them to shore but to simply clean the windows inside so that the beacon shows the path to all of the ships at the same time. I gave away Choose Yourself for free. But people still had to pay for it. Then show me the proof. Then I would return whatever they spent. Why this way? Why not just send it out for free? I know people don’t always value what they get for free. So I wanted people to pay for it. Then I know most books don’t get read. So I asked for some way for people to prove to me that they read it. Two years later, Choose Yourself has sold over 350,000 copies and is still in the top rankings for business and motivational books. It’s gotten over 2000 reviews with an average rating of 4.5 stars. I’m more proud of it than anything I have ever done. So today I wanted to figure out how to do something similar. How to get people a special version of my books. 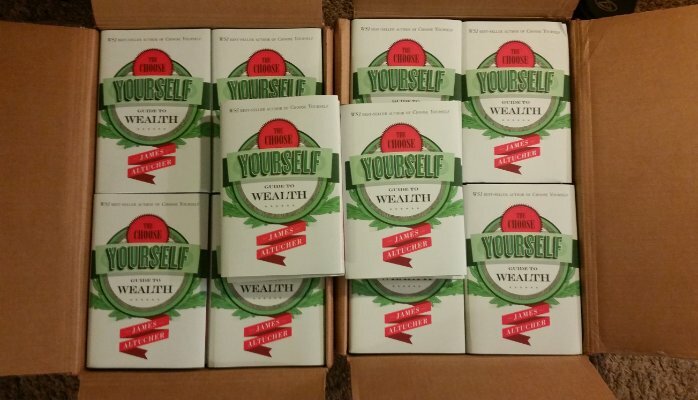 I just bought 7000 copies of “Choose Yourself” as well as 7,000 hardcover versions of the best selling follow up “Choose Yourself Guide To Wealth”. It was a special order because Amazon doesn’t even sell the hardcover. So this week you really shouldn’t go to Amazon to buy my book….